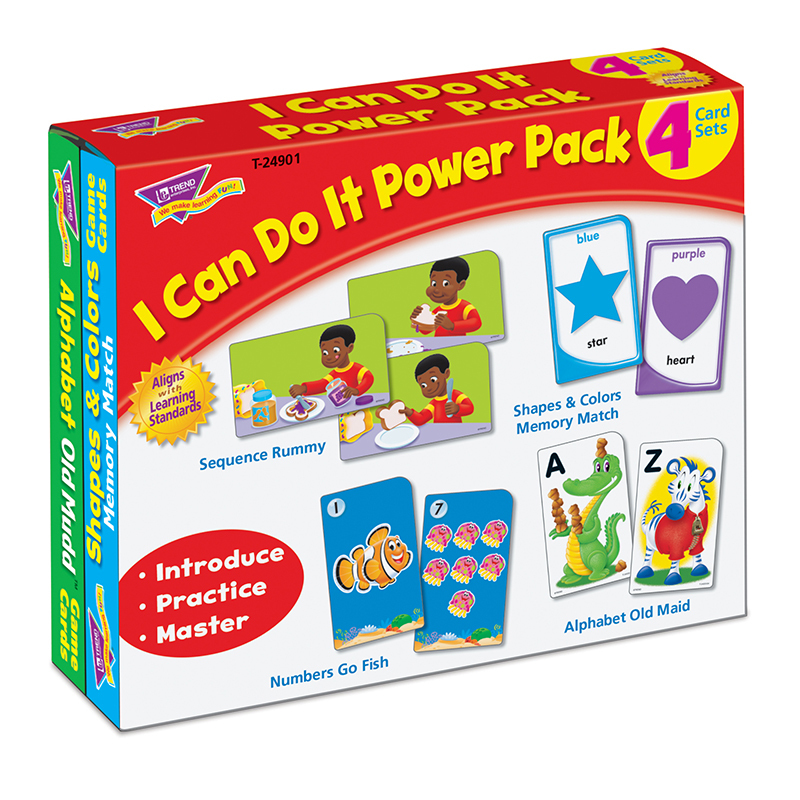 Power up essential skills with this handy pack of our most popular flash cards. Fun games, rich in content, big in results! Introduce, practice, and master sequencing, early reading skills, 9 colors & 9 shapes, counting 0-12, matching, and letters with letter sounds/word cues. Self-checking, answers on backs. Quick-sorting, no-see-through cards. Two-sided, 3½" x 5¼" cards.